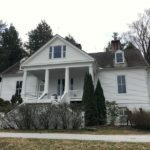 Last week I blogged about the first part of our five week road trip through the US and visiting family in South Carolina. 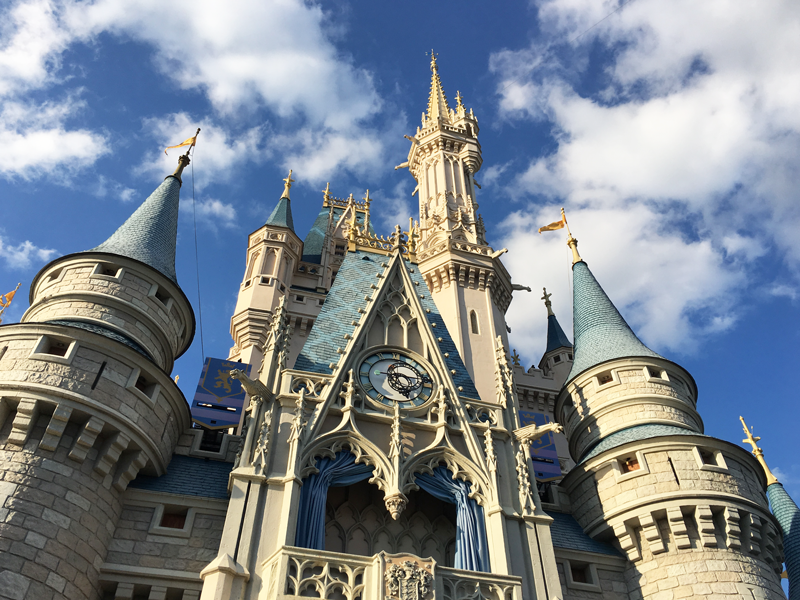 I’m back with the next installment to one of our favourite places to visit – Florida!! I’ve been going there since I was Lucy’s age, first to visit my grandparents during the winters and now to see my own parents. This time we were able to stay there for over two and a half weeks in the middle of our road trip. 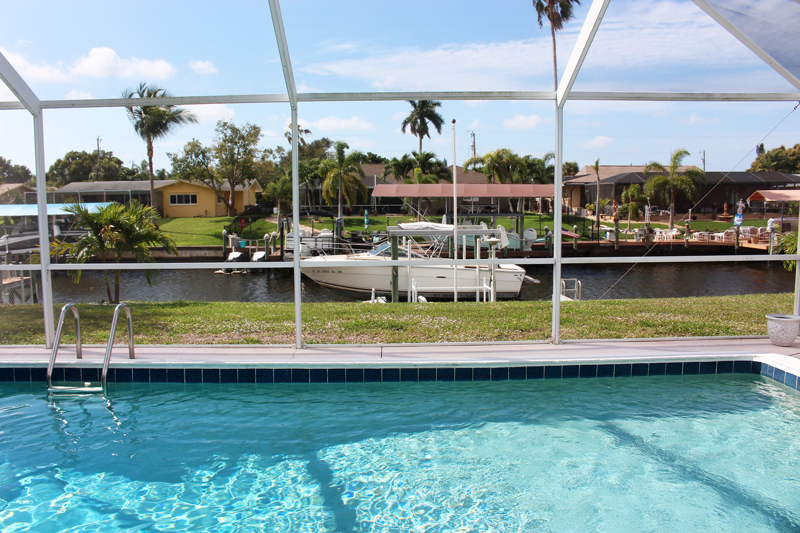 If you’re not already familiar with this, it’s quite common for Canadian retirees to head to Florida as “Snow Birds” and escape the coldest months back in the Great White North. In fact, my parents have two other friends who have winter homes in the same city in Florida and then are all neighbours on the same street back in our small town in Canada, ha! They’ve had their house in Florida since 2012 and we have so many great friends down there now too. After years of not being able to go often because of work, it’s been really nice to now have the time in the winters to head down with the kids. 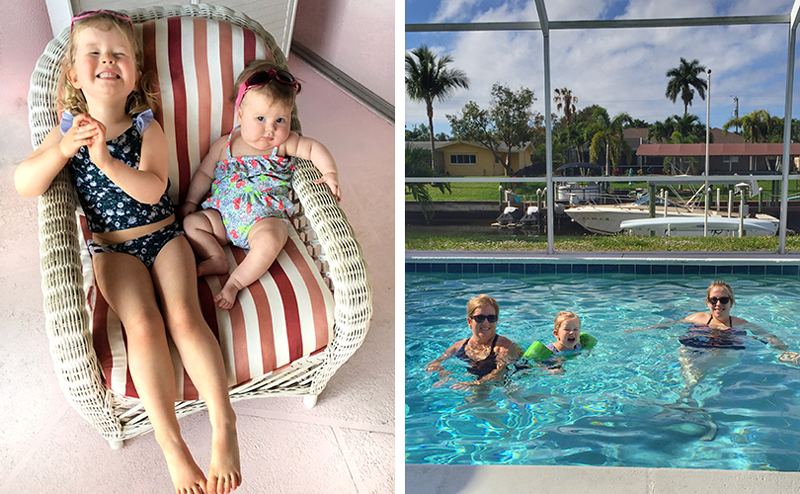 This was Lucy’s fourth trip to Florida, but Rosie’s first! 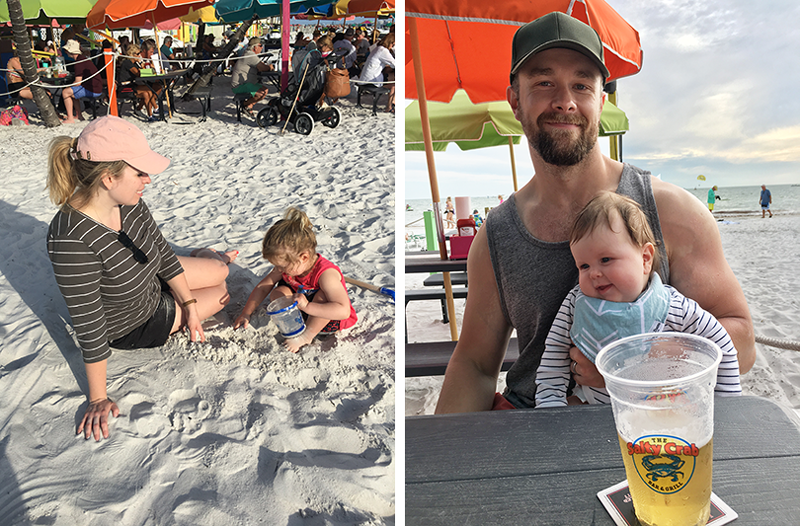 She turned four months old right before we left home and was suddenly so much more aware of her surroundings, making it a fun time to introduce her to the beach. Nothing like getting your toes in the sand! This was the quickest that Lucy has ever settled into a routine while we were there. She slept well and had naps almost every day, and I think a great deal of that can be attributed to how active we were. 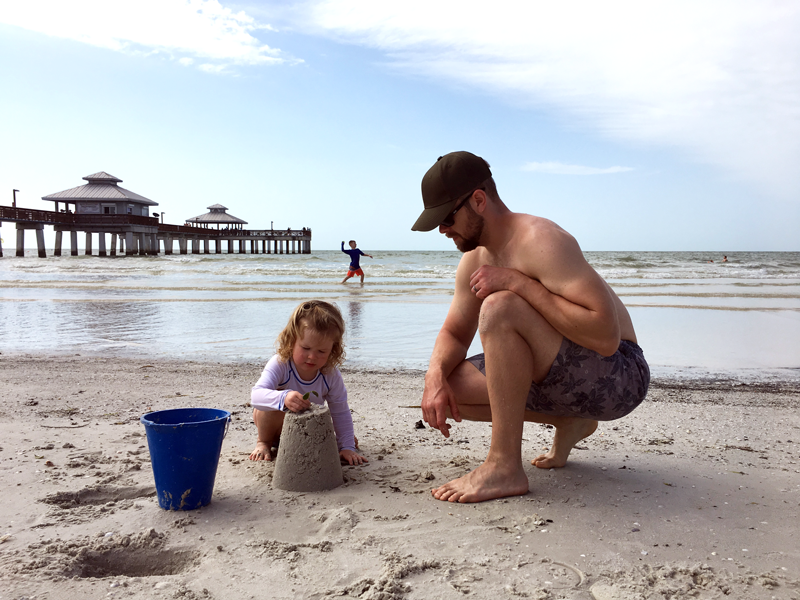 Daily swims, bike rides, visits to the park, sunset at the beach – we found she was happiest on the days that we kept busy. And sweet little Rosie was content to come along for the ride. She struggled a bit with the heat when we first got there (she’d never even had bare feet, arms or legs until then!) but was always happy with a dip in the heated pool to cool off. It was such a treat for all of us to spend time with my parents too. So often when we’re back home in Canada in the summer, our focus is on the flower business, but we had more time to just hang out and enjoy each other’s company. 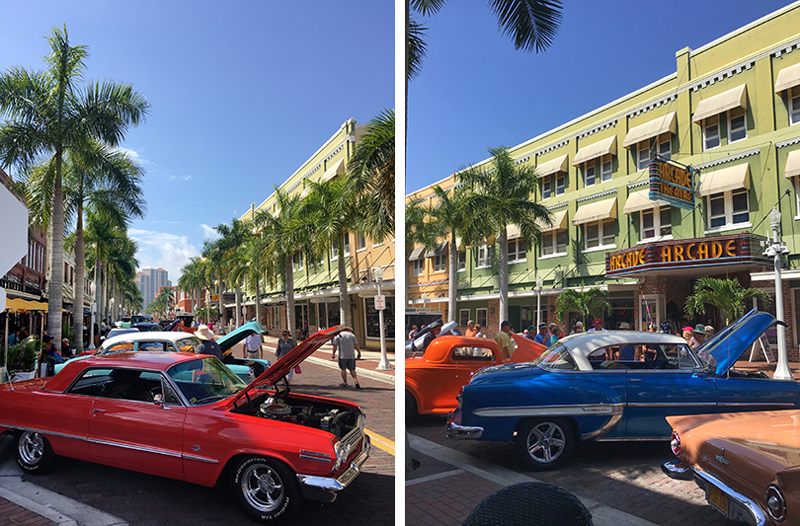 We had a chance to visit downtown Fort Myers in the Historic River District a couple of times, including catching this great car show. I grew up going to car shows with my parents and I always love getting the chance to look around whenever we see one. On our trips before we had kids we visited new restaurants and found cool bars, now that we have little ones we’re learning where all the cool parks are instead, ha! This one at Fellowship Park in Cape Coral was built for the community by a local church and is awesome. 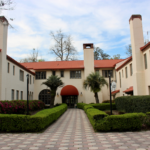 With a sunshade, splash pad and even an air conditioned cafe, it was a great spot to visit. We’ll be back again next time. This time around Lucy was much more into playing at the beach. We brought our shovels and pails everywhere we went and she dug in the second we got near sand. 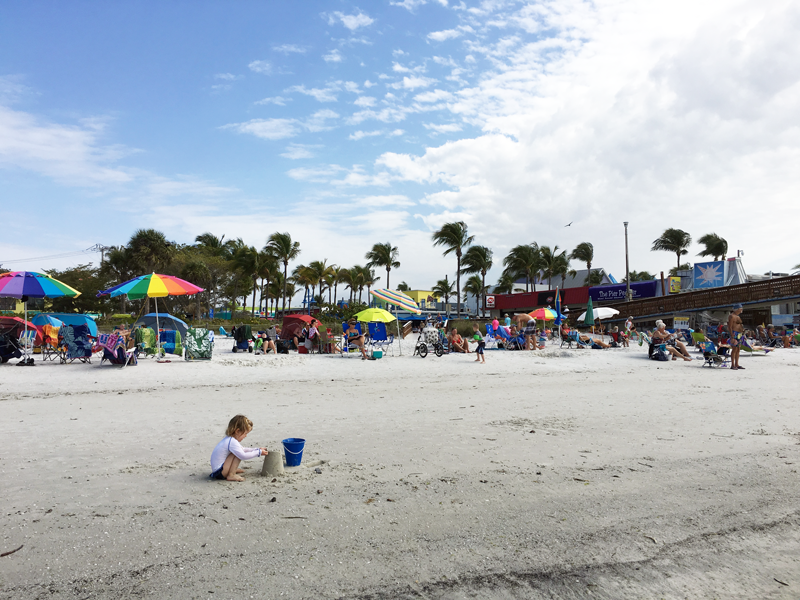 One of my family’s favourite things to do at nearby Fort Myers Beach is head over to The Salty Crab right on the beach. 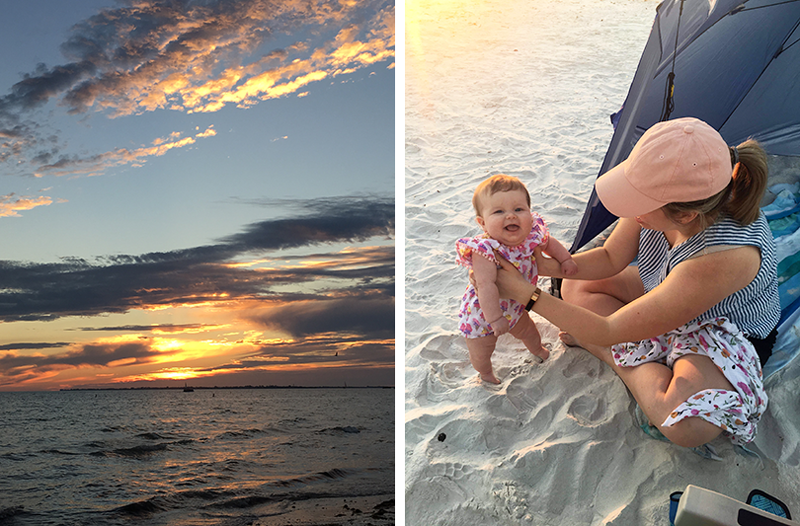 The pints are cheap, the fries are good, and with picnic tables on the beach, it’s the perfect place to enjoy another beautiful Floridian sunset. The bonus is that kiddos can play in the sand right by your table and everyone can enjoy cocktail hour together. 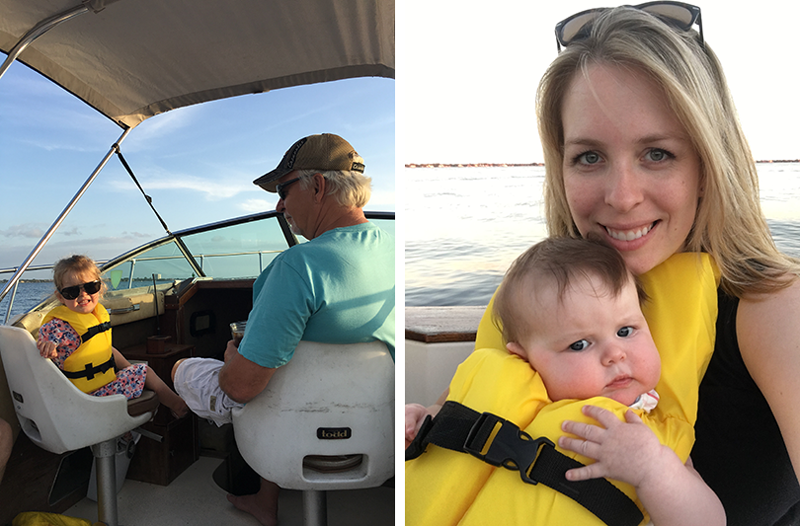 We had a truly wonderful time at my parents’ house and we even got the chance to head out on Poppa’s boat a couple of times. I finally got to see a dolphin in the canal system and it was right by their dock! 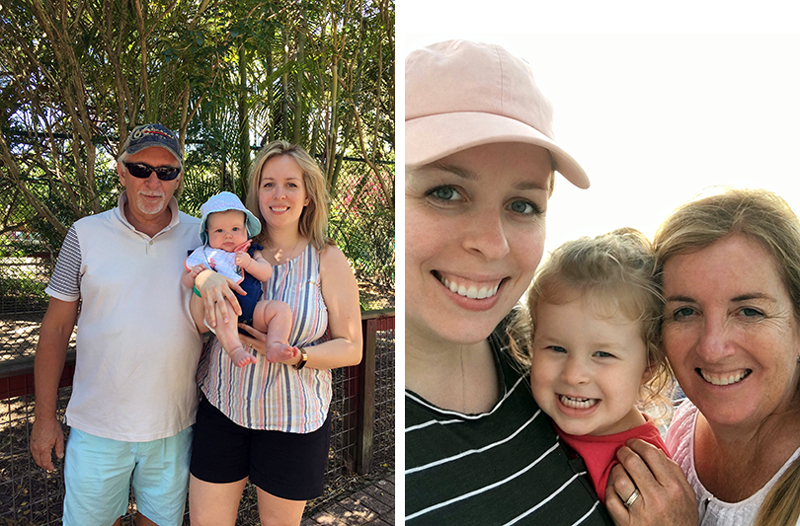 One of things we were looking forward to the most about this particular trip to Florida, is that we’d decided it was the year we’d make our first trek up to Disney with the girls. I found a good deal last minute on AirBnb townhouse at this resort in Kissimmee and it had plenty of space for all of us to go, including my parents. It was only 15 minutes to Disney and they had a great heated pool with water slides and even a lazy river! We had originally intended to go to Disney the first day we got there but they were calling for cold (for Orlando) weather and it was quite windy. 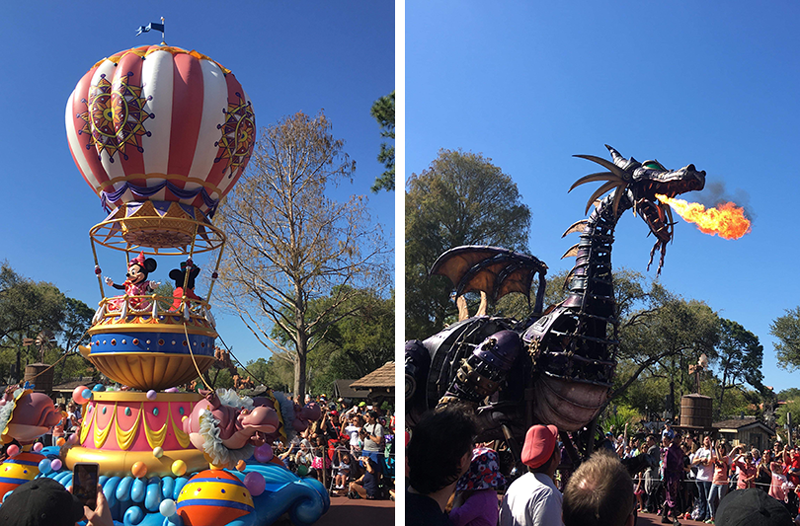 We decided to spend the day exploring the area and enjoy the sunny weather the next day at Disney. We had breakfast out and then drove over to Celebration, the master-planned community designed by Disney. I’d been there briefly years ago on another visit to the area with friends and it was nice to have the time to look around more this time. The downtown area was cute (and is apparently quite busy on Farmers Market days) but what we really enjoyed seeing was all the homes in the various neighbourhoods in the town. I shared more pictures of the houses on Instagram. 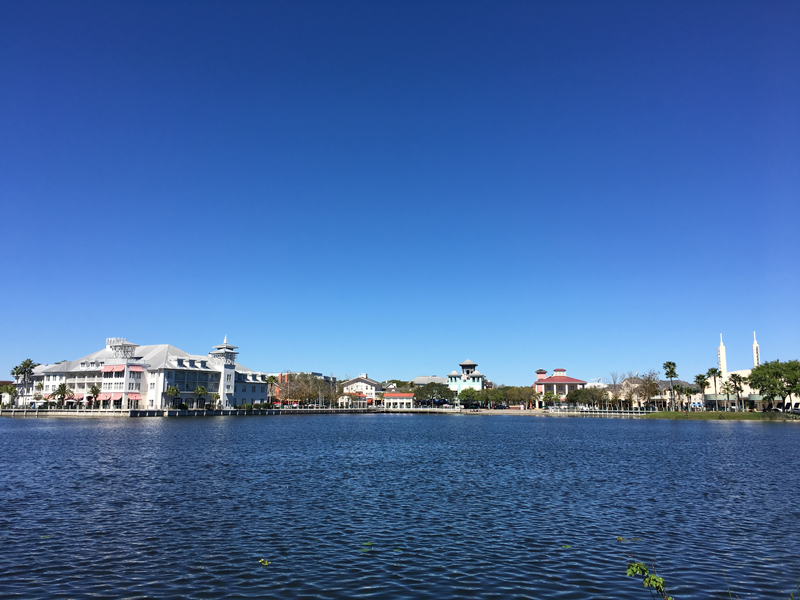 We all rested at the townhouse and went for another swim in the lazy river, before we headed over to Disney Springs, an outdoor shopping and dining area. After a great recommendation from Garrett’s aunt, we went to T-Rex Cafe for dinner. 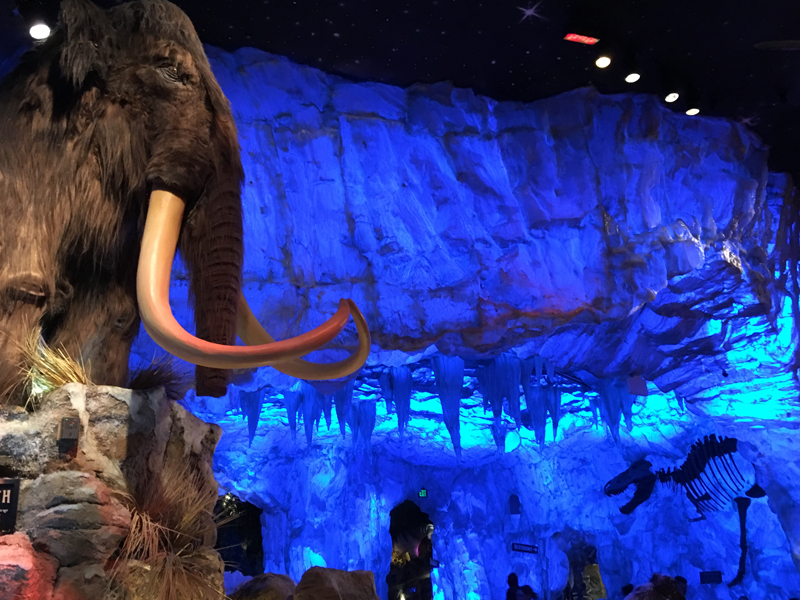 It’s like Rainforest Cafe but with dinosaurs, Ice Age creatures and real fish. Lucy is really into dinosaurs right now and was completely captivated – especially by the big light and sound show that happened every twenty minutes to mimic a volcanic extinction. The food was great (big portions too! ), but she could hardly eat with everything to look at. It is definitely a must see if you have kids into dinosaurs. The next morning the sun was shining and we headed over bright and early to Disney’s Magic Kingdom. I’d been with my family and friends several times but this was the first time for Garrett, Lucy and Rosie. I was so excited to finally get to share it with them. Part of why we went this year was because Lucy is still under three years old, so she was free and Rosie is at an age where she’s content to be held and isn’t itching to crawl everywhere. 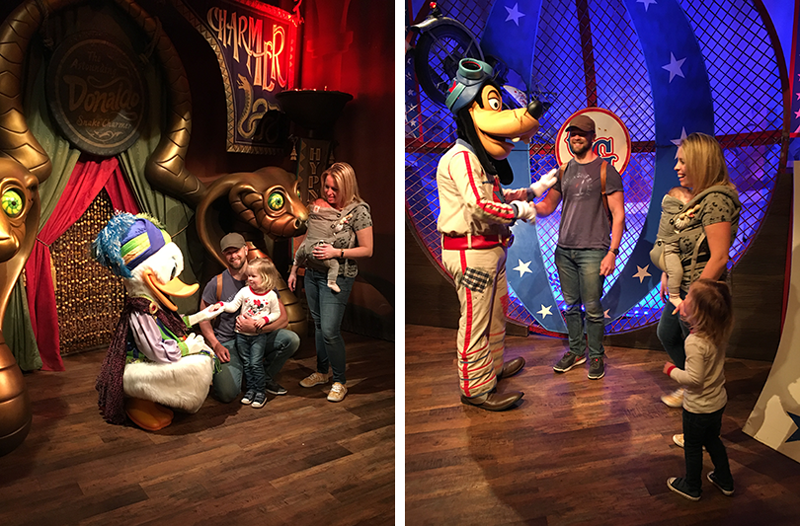 Lucy was able to recognize lots of the characters and talks about our visit there all the time since we’ve been home. I’m really glad we took them both this time and I know we’ll be back again someday when Rosie is old enough for them to enjoy it together too. 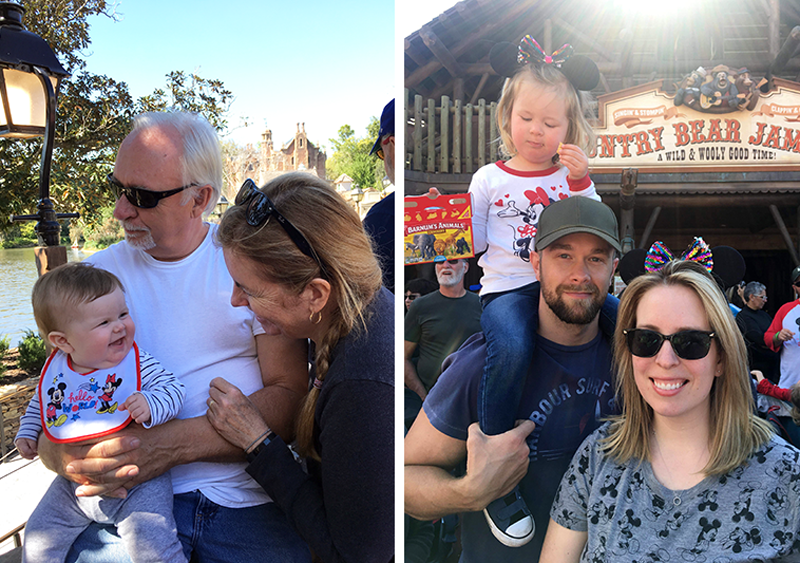 We had a blast going on rides, enjoying the atmosphere and watching the parades and shows. 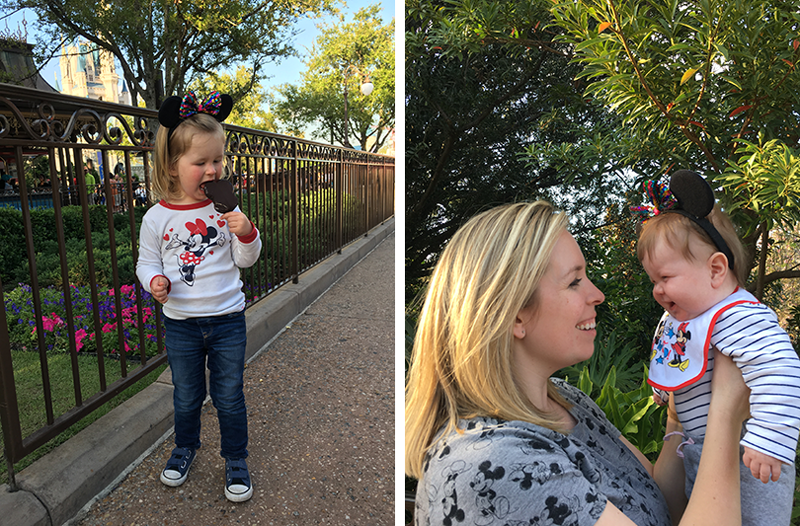 I’ve had quite a few requests for info on how we handled our visit to Disney with a baby and a toddler. I’m working on a post all about it and we’ll hopefully get the chance to share it soon. It was so great to have my parents with us to enjoy the day together and it helped to have two extra sets of hands with the kids too. There was always someone to push a stroller or hold a baby. Watching Lucy’s eyes light up when she saw Mickey, at the fireworks displays, and in the The Little Mermaid ride was really the best part of the day for Garrett and I, and it was really special to get to share that experience and joy with my parents too. I grew up watching Disney movies (especially The Wonderful World of Disney on Sunday evenings) and we’ve been sharing those films with Lucy recently too. I couldn’t help but get nostalgic for my own childhood seeing Lucy light up whenever she recognized something. She had the biggest grin when she saw Donald Duck, who is one of her all-time favs. 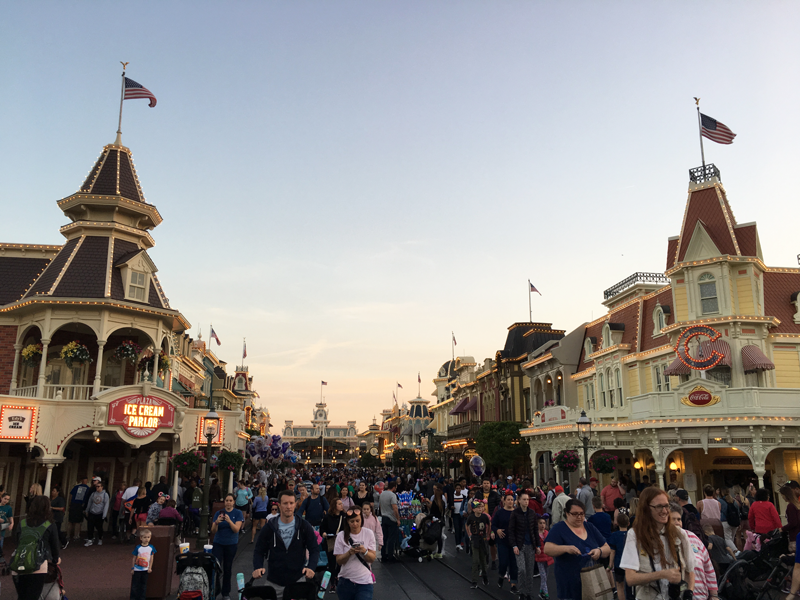 It felt like we barely scratched the surface of everything you can see at Disney and we know we’ll be back again. 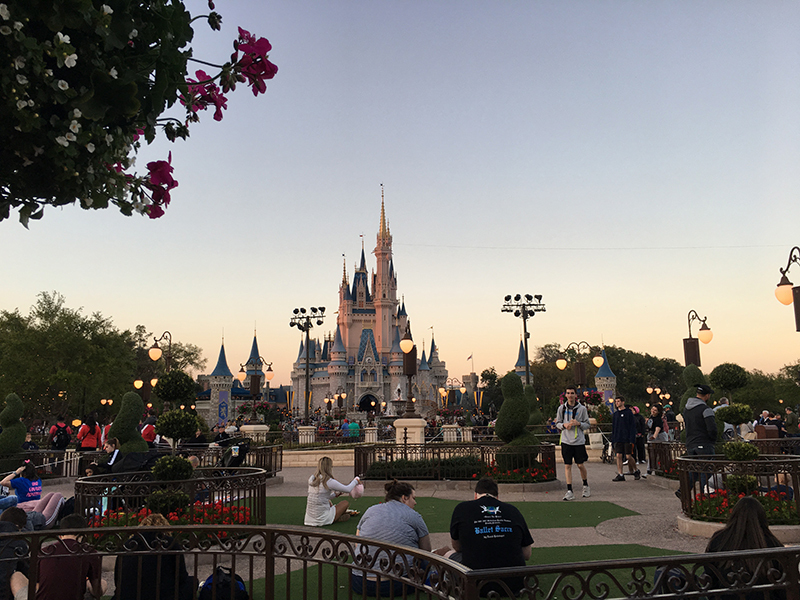 We stayed until the big fireworks show at Cinderella’s castle at the end and then made our way all the way back home. Lucy couldn’t stop talking about everything she’d seen, her favourite ride (the spinning teacups) and meeting Donald Duck. Then about half an hour later all the talking stopped and she was out like a light for the rest of the three hour drive back to my parents. I’m so glad we took her at this fun age and I can’t wait until the next time. I’ll be back soon with another post about our five week 2019 road trip. You can see more posts on our 2019 road trip below and check out the Travel page for more of our adventures. 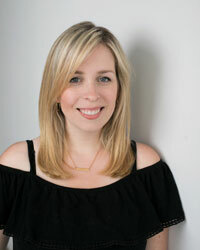 Hi Amanda, long time! (I’m not on Insta these days, so I feel slightly under a rock). Loving the gorgeous pics! It’s funny because I just went to Disney for the first time this past February. Loved it, but was it ever busy! Thought we would’ve lucked out with it being off-season, but I guess there’s no slowing down for the Magic Kingdom. Looking forward to reading about the rest of your trip! I couldn’t believe how busy it was. I thought we’d be okay because it was midweek and cooler weather, but I’ve heard from other people that it’s crazy busy all the time now. We still had fun though and I hope you did too!